For antiseptic skin prep, I.V. starts. 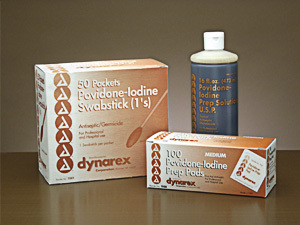 Pads, swabsticks, and solution all contain 10% povidone-iodine concentration.